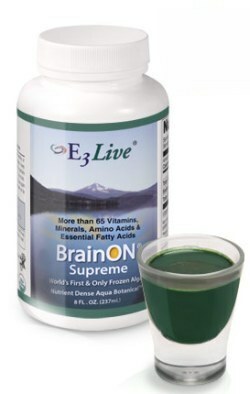 "As a physician working with thousands of clients, I find that E3Live helps to restore overall biochemical balance by nourishing the body at the cellular level. The positive response from the use of E3Live has been extraordinary. 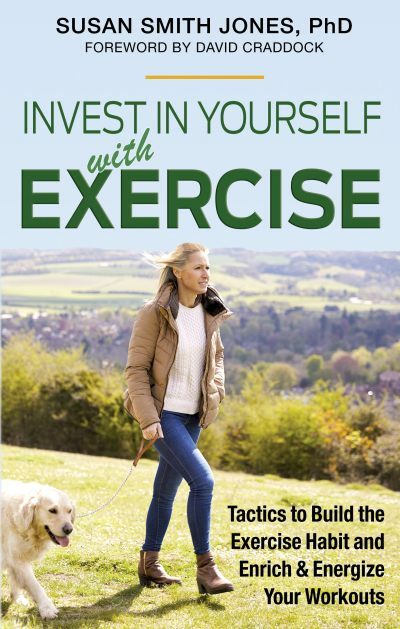 E3Live has the potential to enhance every aspect of our lives—mind, body, and soul." I would wholeheartedly agree. 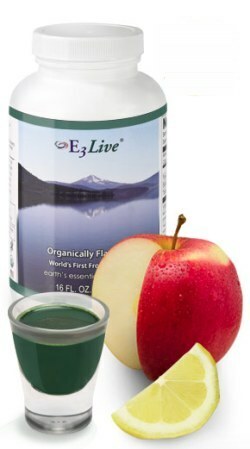 Certified organic and kosher, E3LIVE™, harvested at Klamath Lake in Oregon, is nature’s complete nutrition. It will help energize your body, balance your emotions, and focus your mind. It’s also delivered directly to your door — anywhere in the world. I get shipments monthly and would never be without their products. 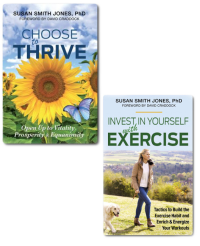 These are some of my most favorite nutritional supplements and very popular in my private practice because they’re truly superlative and efficacious. E3Live is 100 percent AFA. It’s available in its complete fresh frozen liquid form. 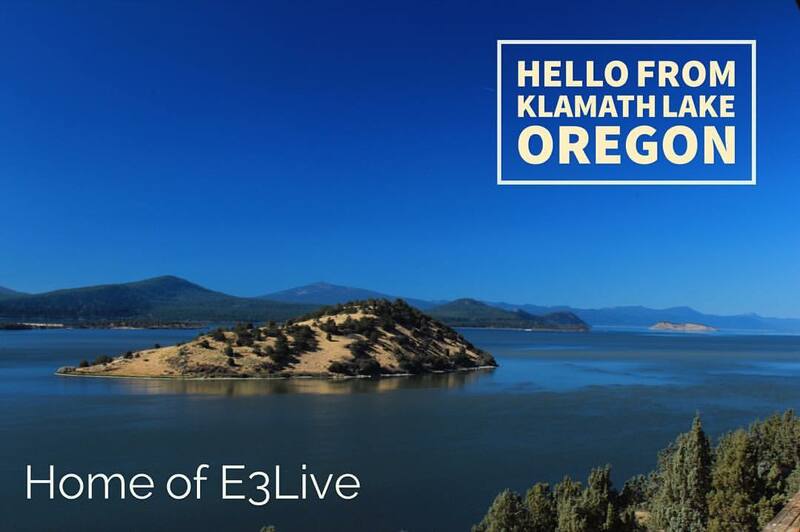 E3Live is collected only from the deepest, most primitive waters of Klamath Lake, Oregon, and harvested only at peak times of optimal growth, when the AFA is the heartiest. Every morning I start off my day with two tablespoons of BrainON Supreme. For more information, or to order any of the E3Live products, please call the number below. I highly recommend that you order by telephone so you can ask their team of experts which products would be best for your specific needs. Tell them about any personal health issues you may be experiencing and also about your wellness goals. They will guide you expertly. For over 20 years, I’ve taken E3Live consistently, use it in my private practice, and highly recommend it to everyone. It provides more nutrient-rich chlorophyll than wheatgrass; 60 percent high quality protein; all the B vitamins, including B-12; essential omega-3 and omega-6 fatty acids; and powerful digestive enzymes. It’s also organic, kosher, vegan, raw, and versatile. It will change your life for the better. For more info, click HERE. 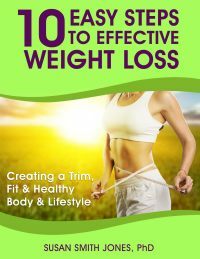 Whether you choose their signature 16.2 ounce superfood product, or any of their other premier nutritional supplements for women, men, children, pets, or natural skin care products, you’ll see a difference. I use many of them daily. I encourage you to give them a 90-day test. You will marvel at how much better you’ll look and feel. For weight control, digestive health, brain or joint support, heart health, blood sugar and sport support, or the best anti-inflammatory or natural beauty products, you can’t go wrong with E3Live. 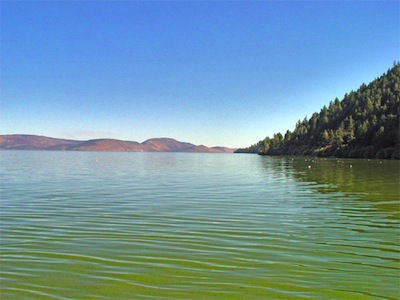 On the left is a photo of the pristine Klamath Lake. 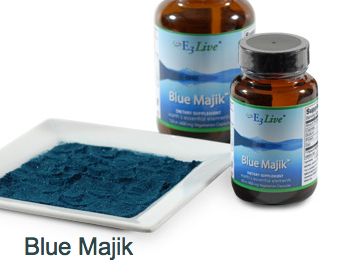 Additionally, I take their BLUE MAJIK™ — a stunning blue pigment which is a proprietary extract of Arthrospira plantensis, a nutrient-dense aqua botanical. It has been shown to be a potent natural COX-2 inhibitor and effective in alleviating chronic inflammation, inhibiting lipogenase, and fighting free radical formation. I have also seen amazing results using this product to eliminate migrane headaches. After a month taking this product, across the board, all of my test subjects no longer got migranes. It comes in both powder and capsules. I take 1/4 teaspoon per day of the powder or 2 capsules daily (when traveling) — and double this amount if I am under extra stress. For more information, click HERE, or to order, call the number below. I encourage you to give them a call and ask their team of experts any questions you may have and which products will be best for you. Tell them what health issues you are experiencing or the goals you want to achieve in your health and they'll guide you. Daily, I take their signature E3Live, Brain On, Blue Majik and others. I also use ALL of their Skin Care Products. Taking the E3Live products for over 20 years is one of the reasons I've not had a cold or flu in all this time and am vibrantly healthy with energy to spare. You can't go wrong with their products. Give them a 90-day test and you'll be amazed by the noticable difference in how you look and feel. One of my favorite products from this company that I recommend to everyone is their versatile and convenient E3 SpirulinaLive. It's a nutrient dense aquabotanical that is frozen fresh as a liquid and closest to its natural state, providing easily absorbed and assimulated nutrition. It has no taste or smell so it can be added to any beverage like water or juice, and to smoothies. Every morning I put this into my smoothie along with a Single Serve Packet of BrainON. This combination keeps me full of vitality energy galore all day long. With the Single Serves, you don't need to be concerned about measurements. I encourage you to give this combiantion a try for 30 days and see how much better you feel and look. THESE ARE FANTASTIC! One of the most-frequent questions I receive in my media work, or simply visiting with friends and clients, is asking me what I do to have such youthful skin. My answer is always the same. I tell everyone that I use the skin care products available at E3Live®. People often tell me that my skin looks 15-20 years younger than my age. Of course, I also eat a healthy, colorful, natural-foods diet, get plenty of sleep, exercise daily, keep stress levels down, and meditate. However, the E3Live products are all spectacular for both women and men. Go to the link and click on "NATURAL BEAUTY" on their website in the navigation bar at the top 6th from the right. I use all of the products on that page including E3Renew Me Total Body Blend, E3Light Polish, Earth's Essential Cream, E3Kelp Soap, E3Peppermint Soap, and their signature E3Live Superfood Product in both liquid and capsule form. In 30 days of using all of these products as directed on their labels, you will see in difference in how you look. Ju st about everyone in my private practice uses their products, too, and even take them, as I do, on their travels. For my clients with eczema and psoraisis, and other skin disorders, their creams are the best and oh-so-helpful. When I get a minor cut, bug bite, or bruise, I immediately use their creams. They are front and center in my home's Natural Medicine Chest. 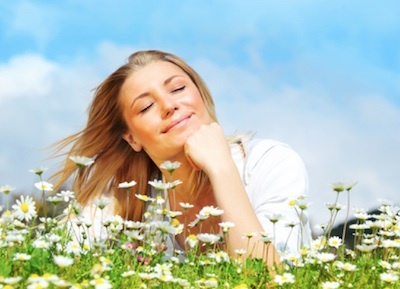 Remember that your skin cells all renew themselves in just 30 days. This means that in only one month, you'll have more radiant, luminous, and youthful skin. People will start asking you what you've been doing to make your skin look better. Click HERE for their "NATURAL BEAUTY" page to learn more about these skin care products or to order. Their friendly and helpful team of experts can also answer any health and skin care questions you may have. To order by telephone, please use these numbers below and tell them hello from me.